 Geneva – October 12, 2018 – WISeKey International Holding Ltd (“WISeKey” SIX: WIHN; OTCQX: WIKYY), a leading Swiss cybersecurity and IoT company, announced today that it has leveraged its CertifyID BlockChain technology to create a Universal Decentralized Identification (UDI) system. 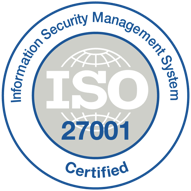 Currently, WISeKey is by far the largest provider of Digital Identification in the world with over 20 years of expertise in PKI, IoT and Identity Management. Its Root of Trust (RoT) is the most ubiquitous version on the Internet with a total of over 4 billion downloads and installs. 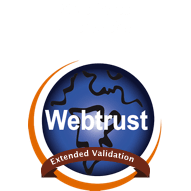 CertifyID https://account.wisekey.com integrates Digital Identity with Blockchain technology. Its CertifyID BlockChain acts as a Digital Identity dual factor authentication-based technology that sits on top of a BlockChain. The CertifyID BlockChain is constantly growing as new Identity blocks are added to it with a new set of recordings. Each CertifyID Identity node gets a copy of the Identity CertifyID BlockChain and gets downloaded automatically upon joining the Identity CertifyID network. The system is totally decentralized and can be operated at national or local levels using a distributed identity ledger run by trusted parties spread across the BlockChain. Last year, WISeKey, a pioneer in Digital Identification and BlockChain, unveiled its plan to create Digital Identity BlockChain Platform CertifyID, which is in line with the UN Sustainable Development Goals to provide every person on the planet with a Legal Digital Identity by 2030. “For years, we have used digital identities to allow people to vote electronically, secure their financial transactions, access their health records and now we are moving towards a universal use of Digital Identities,” said Carlos Moreira, Founder and CEO of WISeKey. 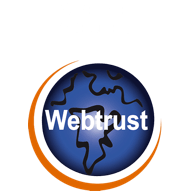 CertifyID Blockchain works via the WISeID app https://www.wiseid.com, allows users to keep their Digital Identity and passwords on an encrypted vault that generates hard-to-crack passwords, and safely synchronizes data between computers and devices on multiple platforms, using secure cloud storage. The vault can be unlocked only with the user’s Master Password and/or defined pattern while additional protection is provided through a facial recognition authentication process. By combining the CertifyID identity verification process with the decentralized blockchain principle, CertifyID acts as a unique digital watermark which can be assigned to any online transaction. 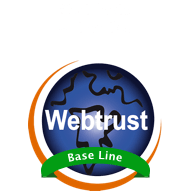 At the heart of this Identity Blockchain platform is the OISTE-WISeKey Cryptographic RoT which has been actively used since 1999 by over 4 billion desktops, browsers, mobile devices, SSL certificates and IoT devices. The OISTE WISeKey Cryptographic RoT is ubiquitous and universal, and a pioneer in the creation of Digital Identities and distributed Digital Ledgers. Currently over 1.3 billion people are undocumented and without an identity are off the radar for vital economic services, such as food, education and healthcare. This new CertifyID BlockChain platform integrates state-of-the-art technologies related to Digital Identity and BlockChain which are in line with the United Nation’s Sustainable Development Goals aimedat providing every person on the planet with a solid and tamper-proof digital identity based on common, interoperable standards by 2030. As a first step, the United Nation is seeking to develop scalable identity systems by 2020. This initiative was launched at the inaugural “ID2020 Summit Harnessing Digital Identity for the Global Community.” That’s why the UN created their ID2020 project. Nobody should be able to say you can’t participate at the most basic level in the system. But that’s exactly what happens today. WISeKey is already implementing its Digital Identity platform with several countries around the world. “To have a pristine vision like putting the citizen at the center of gravity, owning its Legal Digital Identity, and building all the infrastructure around this vision, is the key to successfully empowering citizens to unleash their full potential,” said Mr. Moreira.